Silver rhodium bracelet, a jewel creation from Stephanie Ducauroix, an original gem. 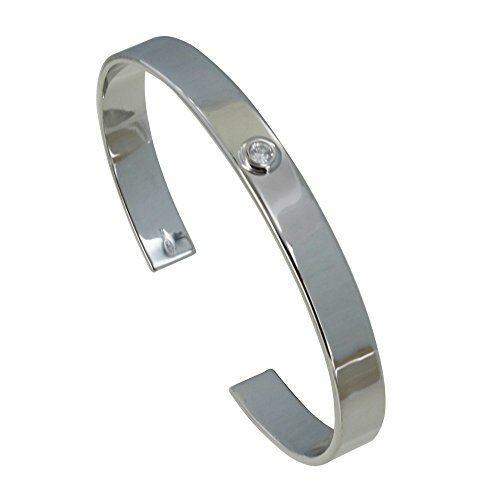 Silver rhodium half circlet and a central rhinestone that easily fits around the wrist. Inside diameter of 5,8 cm and a width of 0.7 cm. Silver Weight 15 gr. Available in gold plated. Jewel delivered in its Les Poulettes gift case. If you have any questions about this product by Les Poulettes Jewels, contact us by completing and submitting the form below. If you are looking for a specif part number, please include it with your message.